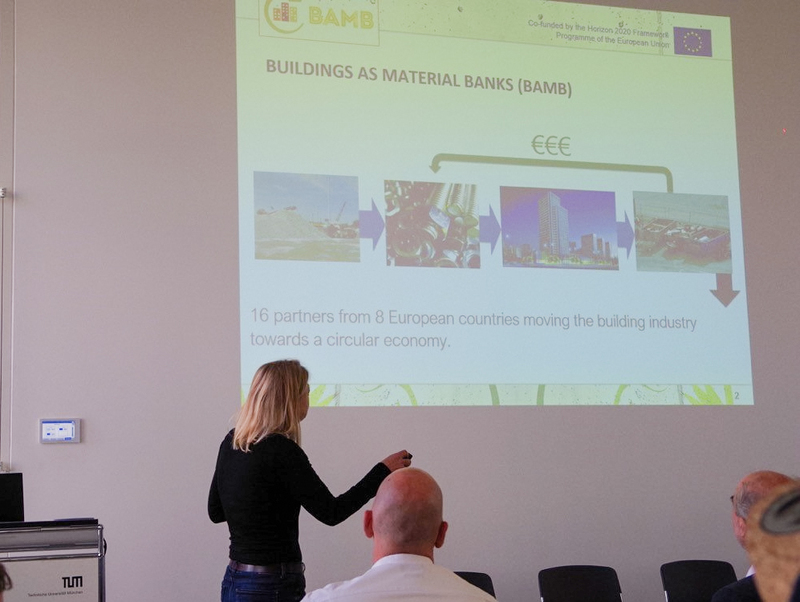 Katja Hansen from EPEA presented the BAMB project and material passports at a building symposium organized by the regional group of the C2C Verein e.V. in Munich on October 26, 2017. 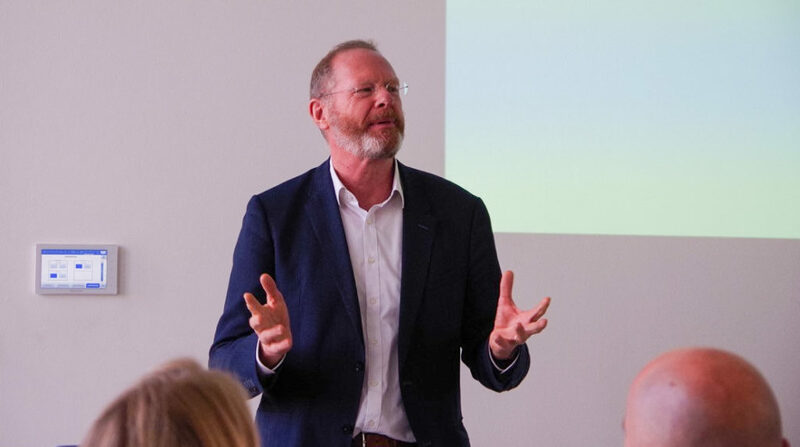 The event was hosted and opened by Prof. Werner Lang at the Vorhoelzer Forum of the Technische Universitaet Muenchen (TUM) who is also a partner in the BAMB project. The event was open to the public and representatives from different companies and also the building department of the city of Munich as well as students attended the forum. Image: Prof. Werner Lang, TUM hosted and opened the symposium. 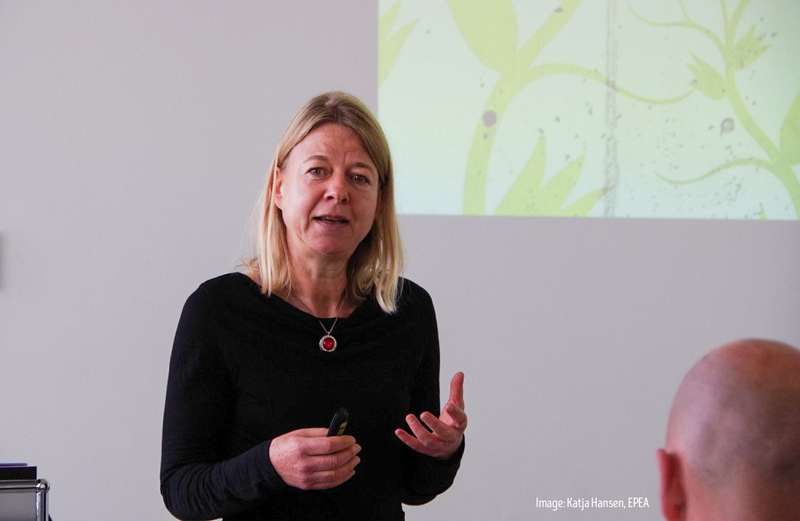 Image: Katja Hansen, EPEA presenting the BAMB project.